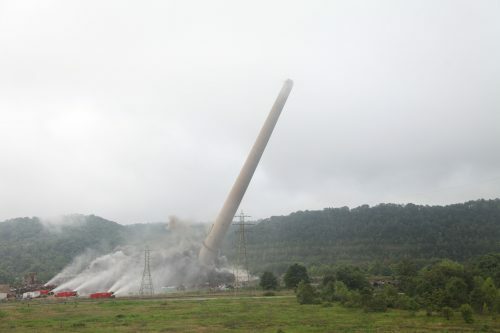 Full research report and appendices detailing the “Coal Cost Crossover,” where rapid wind and solar price declines have made the combined going-forward costs of existing coal-fired power plants more expensive than the all-in costs of building new renewable energy generation. This analysis was prepared by Energy Innovation and Vibrant Clean Energy. 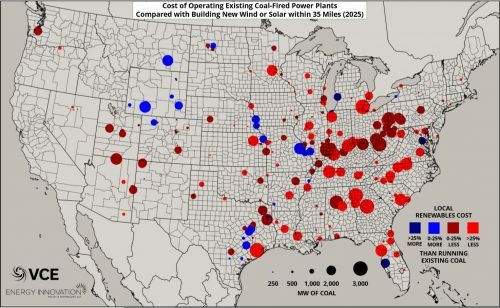 High-resolution maps detailing the marginal cost of energy (MCOE) in 2018 and 2025 for existing U.S. coal-fired power plants compared with building new wind or solar generation resources within 35 miles. 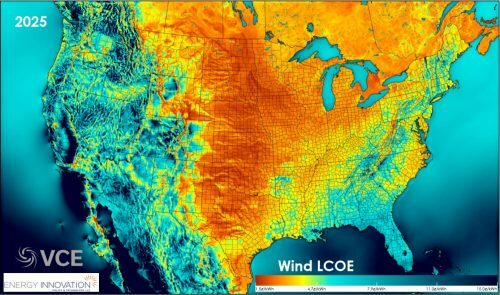 High-resolution maps detailing the levelized cost of energy (LCOE) in 2018 and 2025 for building new wind or solar generation resources within 35 miles of existing U.S. coal-fired power plants. Solar LCOE map in 2025, using cost assumptions from NREL 2018 Annual Technology Baseline, low case. 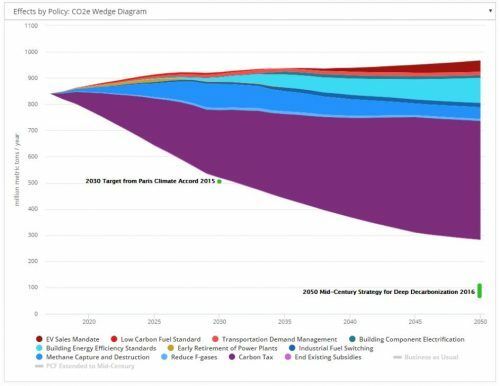 Wind LCOE in 2025, using cost assumptions from NREL 2018 Annual Technology Baseline, low case. 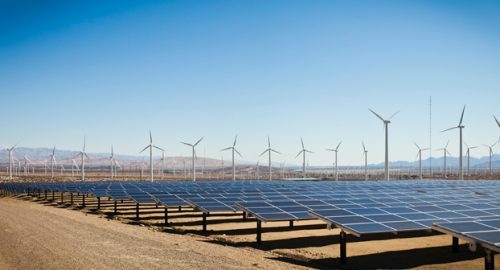 Plant-by-plant estimates of the current MCOE for all existing U.S. coal-fired power plants detailing all going-forward operational costs, as well as current and future LCOE data for building new wind and solar projects on a fine resolution scale, both available for 2018 and 2025.